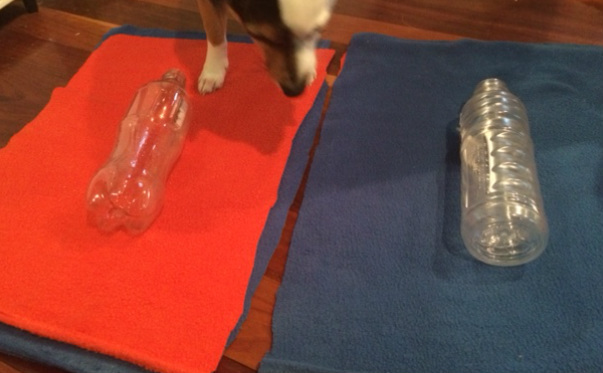 Here’s how to make your dog a simple toy, easily. It’s so easy that even your kids can make it. Great for those wet, cold, stay indoors days. 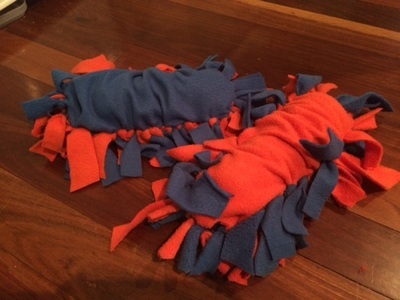 Polar Fleece – you can use contrasting colours to make your Bottle Bug more attractive. A handy hint – dogs see in blue, yellow and various shades of grey – try making one of the colours blue or yellow – especially for dogs with aging eyes or limited vision. Scissors – sharp enough to cut through two layers of polar fleece. If kids are making this toy either provide adult supervision, or assist them with this step. 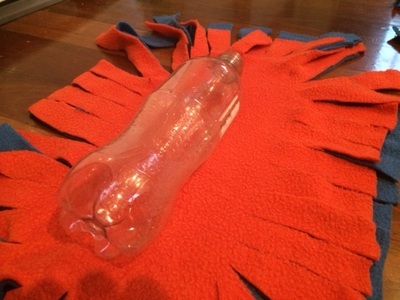 Cut out two pieces of polar fleece – use your bottle as a guide – allow a minimum of 15cm around the bottle. Stack the polar fleece pieces on top of each other. 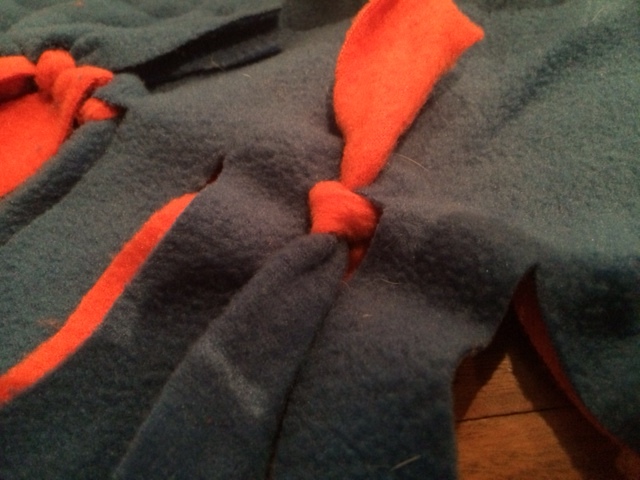 Using the scissors cut strips 2cm apart into the two layers of polar fleece. 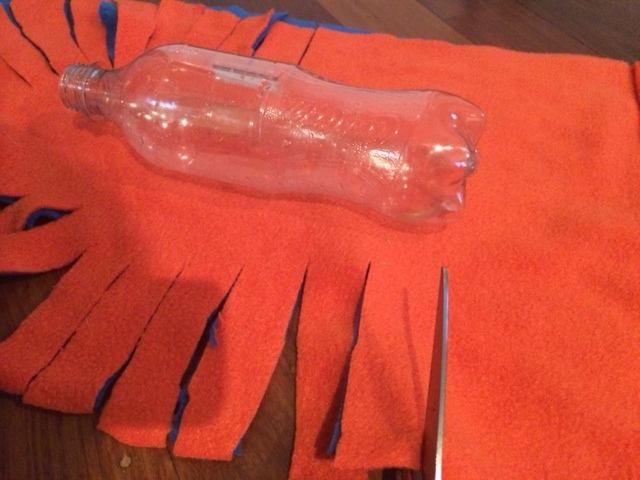 Start your cuts at the outer borders and finish your cuts a few cm out from your bottle. Tie a strip from each layer together using a traditional know. It’s easier if you leave the fleece on a flat surface. Continue this almost all the way around the material. 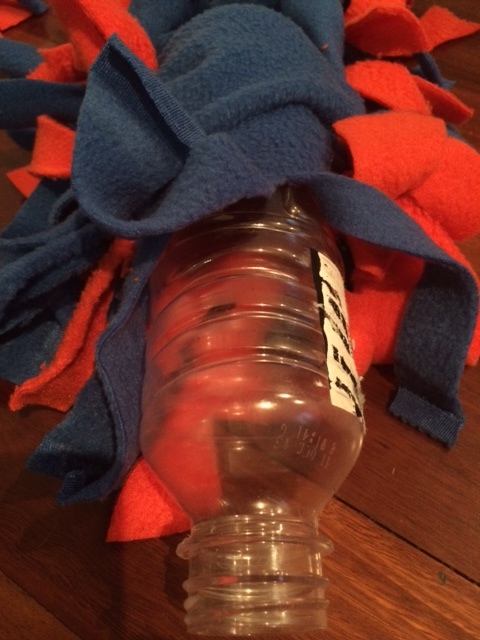 When you have just about tied the material together all the way around the bottle, push the bottle into the pocket made by the pieces of fleece. Finish with knots in the remaining strips. Give your dog their new toy. Remember to always supervise pets with toys until you are sure they are safe.